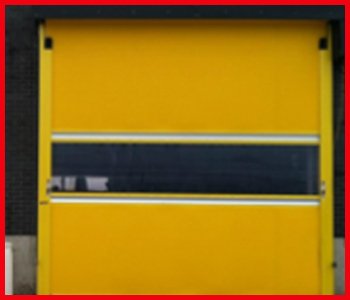 Roll high speed doors are the right fit for entrances with frequent traffic such as warehouses, dealerships, and service bays. The facilities that also require secure access and minimal energy loss are a great choice for these high speed doors. Albany Rapid Roll exterior high speed doors are the ideal solution for increasing efficiency and lowering energy costs in high traffic areas. As the main barrier between interior and exterior environments, exterior high speed doors are designed to resist fierce weather conditions while providing reliability, security, and aesthetics. fast speeds and a breakaway bottom beam provide efficiency while smart design features help meet productivity goals without compromising safety. Albany UltraFast rapid roll doors also feature tight seals to limit air filtration and heavy duty wind ribs to hold up against adverse weather conditions.